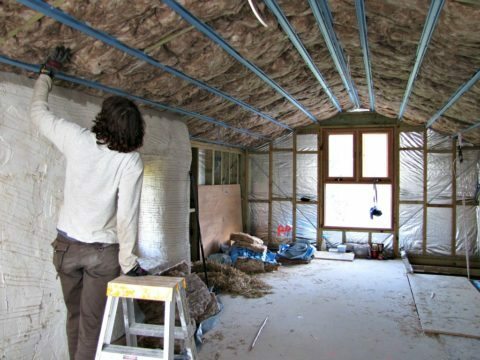 Insulation is eco-friendly by its very nature. 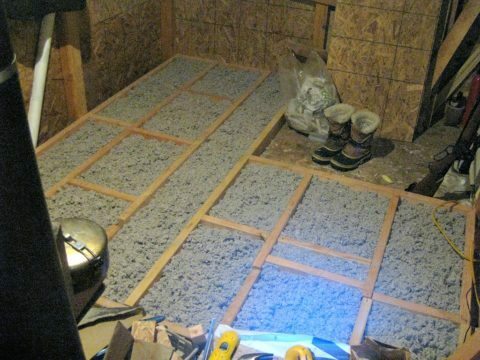 While the manufacture of chemical-laden insulation materials (such as polystyrene, polyisocyanurate and polyurethane) have a significant carbon footprint, that is vastly outweighed by the benefit of insulating our homes. 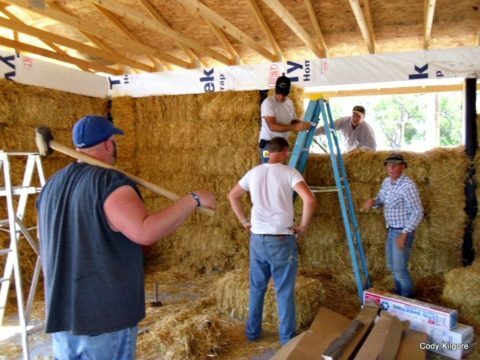 A well-insulated home is an environmental win — because it uses significantly less energy, reducing our dependence on fossil fuels and saving money. However, you can still choose “greener” insulation materials — ones that are manufactured from renewable resources and recycled materials with fewer chemicals. As long as they can offer the same R-value once installed, then you’re scoring even higher on the green scale. When it comes to determining what’s the best green insulation choice for you, the most important factor is how well the insulation will perform in your home — and that depends on where you live. Use the 2 images above to figure out how much insulation you’ll need to properly insulate your attic and crawl spaces. Each type comes in a variety of different materials. Once you know the R-value to aim for with your home insulation, you can determine which eco-friendly material is best suited to your needs. While fiberglass manufacturers have made significant strides in using recycled glass — meeting EPA requirements of 20% recycled material — its manufacture still releases significant greenhouse gases. Fiberglass has a relatively low R-Value of R-2.2 to R-3.8. Foam products release greenhouse gases, as well (although that has improved in recent years), and petroleum is a non-renewable resource. However, foam is by far the most energy-efficient form of insulation — offering an R-Value of almost double the others at R-6.5 per inch. The good news is that manufacturers are working hard to find alternative ways for us to keep our homes warm and cozy. Next, we’ll look at some of the greenest materials used in those 4 types of home insulation. 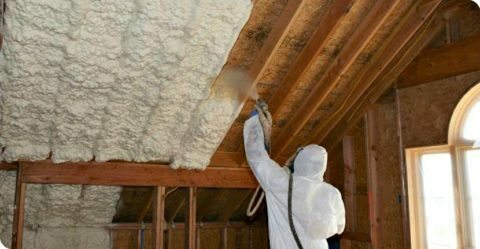 Typically made from 85% recycled newspaper and other paper sources, cellulose insulation can be blown into wall and ceiling cavities — like foam — which increases its efficacy. The downside is it can absorb moisture, reducing its R value and promoting the growth of rot and mold. Although you can install a moisture barrier alongside it, it’s less suitable for humid climates. Cotton insulation comes from a readily renewable resource, albeit an energy-intensive one to produce. Today, many manufacturers use 85% or more recycled cotton; some even use recycled denim. Cotton insulation is treated with borate to resist pests, fire and mold. A man-made material produced from 75% post-industrial recycled content (including natural minerals and blast furnace slag), mineral wool doesn’t need to be chemically treated to make it fire-resistant. Arguably the most natural of the green insulation materials, wool is infinitely renewable, easily recyclable, and has superb insulation properties. It is susceptible to moisture, though, and must be treated with borate to resist pests, fire and mold. This renewable material is natural and non-toxic. However, it has a lower R-Value and is best installed during construction. It isn’t appropriate for retrofitting. Foam is highly efficient, insulating better per inch than fiberglass or cellulose, but the petroleum in it isn’t the eco-friendliest ingredient. Soy-based alternatives are worth seeking out instead. They are more expensive, though. Made from recycled plastic milk bottles, this material is not yet readily available in the U.S. It is also treated with a fire retardant — so while it won’t burn, it does melt when exposed to flame. 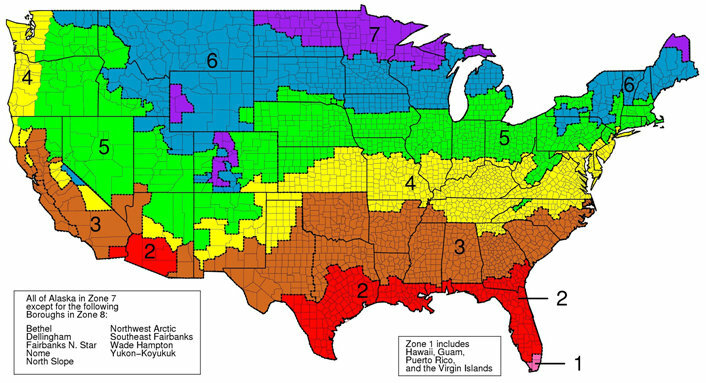 The eco-friendly insulation you choose will ultimately be based on where you live and your home’s specific needs. The bottom line is this: with environmentally friendly insulation and an energy-efficient home, you can significantly lower your carbon footprint!